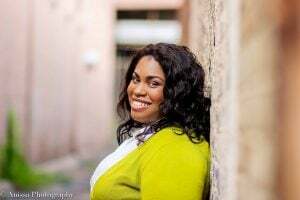 If you’ve not heard of Angie Thomas, Hollywood certainly has. Not only did the US author write an award winning, acclaimed debut novel (The Hate U Give), the movie rights were quickly snapped up by Fox 2000. Starring Amandla Stenberg and Russell Hornsby, it has grossed $29.7 million in North America since its October release. The novel, which centres on the aftermath of a high-school student witnessing a police shooting, has remained on the New York Times Best Sellers list for over 100 weeks. And now, not surprisingly, Thomas’s second book, On The Come Up, has been snapped up for the big screen before it even hit the streets. Although it’s at the end of the day in the US when Thomas is doing this interview with Better Reading, she has an incredible energy about her that is immediately infectious. She’s also delightfully candid, confessing how her first adult novel was rejected 150 times. Angie carried this passion for writing with her through to college, where she went on to study Creative Writing at Belhaven University – it was here that she came up with the idea for her debut young adult novel, The Hate U Give. Centred around sixteen-year-old Starr Carter, The Hate U Give focuses on Starr’s attempt to navigate two very different worlds – the poor neighbourhood where she lives, and the fancy suburban prep school that she attends. The tension between these worlds reaches its peak when Starr witnesses the fatal shooting of her childhood best friend Khalil at the hands of a police officer – Khalil was unarmed. Starr’s character is directly influenced and inspired by Thomas’s own real-life experiences of living in a predominately black, poor neighbourhood, and attending a mostly white, upper class school. Whilst Thomas was still in school, a young man named Oscar Grant lost his life as a result of police brutality, and, in the hopes of processing and understanding her feelings, Thomas wrote a short story that later became The Hate U Give. It is a powerful story, and one that Thomas feels very passionate about. Books for Thomas are a form of activism, a chance to educate people about pressing issues, namely the Black Lives Matter movement. The Hate U Give has turned a lot of young readers to activism, she said, and inspired them to fight for change, and it’s exciting and electric to feel her talk about how much of a positive influence her book has had. This overwhelming positive response to the book stands as a testament to the power of words, the capacity for fiction to forge resistance. Diversity in books is one of Thomas’s favourite themes: ‘I have to quote Rudine Sims Bishop who says that books are either mirrors, windows or sliding-glass doors, and that’s why diversity is so important.’ Books as ‘mirrors’ is vastly critical because people, especially young readers, need to see their own experiences and stories being told in order to better understand themselves and the world they live in. Thomas, who was born in 1988 and was raised and continues to live in Jackson, Mississippi, said when she was growing up she didn’t read a lot of stories about young girls like her, because they weren’t available. She hopes that the success of her book sends a clear signal to the publishing industry that diverse books are not only important, but are also in demand. Diversity fosters empathy and understanding, she said. ‘I’ve had white parents message me after reading my book to say that they had no idea that black parents had to sit their kids down and tell them how they should act around police – it’s something they’ve never had to think about.’ Books like Thomas’s The Hate U Give, act as ‘windows,’ allowing people to access unique stories with a different perspective, whilst at the same time challenging their own preconceptions. Thomas’s second novel (released the 5th of February) On The Come Up, focuses on a female, sixteen-year-old protagonist, Bri, who wants to be the greatest rapper of all time (or, at least win her first rap battle). But Bri is the daughter of an underground hip hop legend who died right before he reached his fame, and with big shoes to fill, plus everyone at school labelling her as a hoodlum, she has a lot on her plate. It is a highly anticipated novel that will appeal to young and mature readers alike. Angie Thomas was born, raised, and still lives in Jackson, Mississippi. A former teen rapper, she holds a BFA in creative writing from Belhaven University. Her award-winning, acclaimed debut novel, The Hate U Give, is a #1 New York Times bestseller and major motion picture from Fox 2000, starring Amandla Stenberg and directed by George Tillman, Jr. 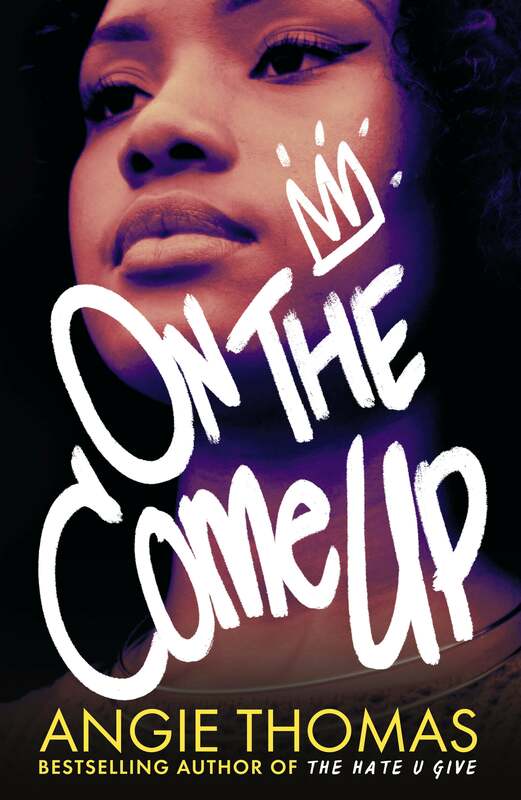 Her second novel, On the Come Up, will be published on February 5, 2019.